Alright, so we're searching for why people think Berlin is so cool. 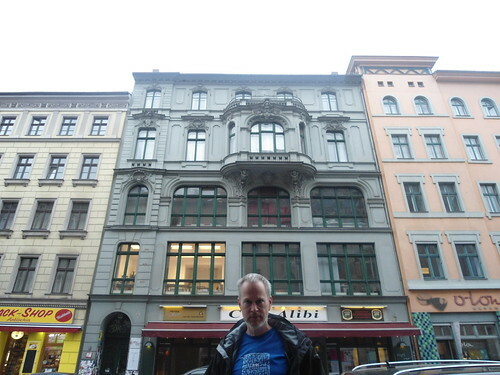 The plan: do a pub crawl in the Kreuzberg neighbourhood and get a taste of what all the hype is about. The food at Santa Maria was fantastic, and the crowd gathered inside to drink and watch the football seemed to be having a good time. 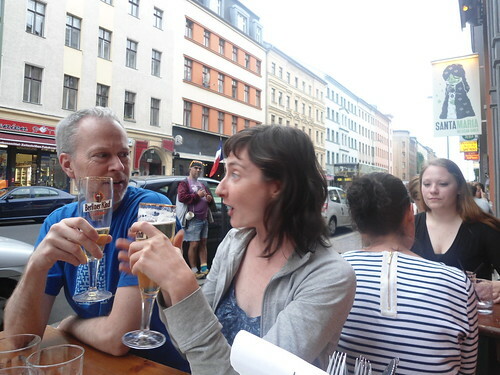 As you can see, Nicole (our gracious hostess) and I are drinking Berliner Kindl. Meghan is actually trying to get a picture of the dude in the background between me and Nicole.